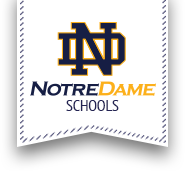 Discover the Notre Dame Difference at our Open House! Presentations begin in the auditorium at 10:30 a.m. followed by tours. Staff will be on hand to assist with applications, financial aid and to answer tuition questions.